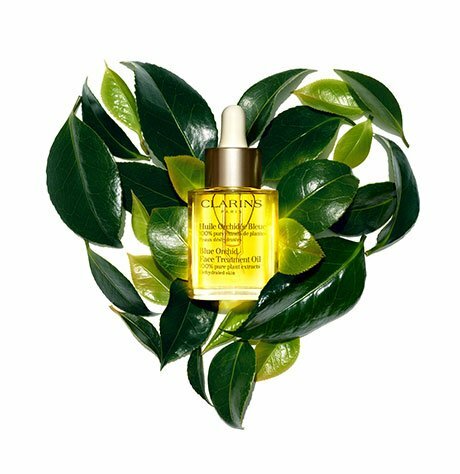 Hydrating face treatment oil, formulated with 100% pure plant extracts, helps revitalize dehydrated skin. An aromatic blend of essential oils—including Blue Orchid and Patchouli—helps restore radiance, tone and vitality to moisture-deprived skin. Hazelnut Oil, rich in Omega 9 and Vitamin E, softens, soothes and seals in moisture to minimize the appearance of fine lines. Fine, lightweight formula absorbs instantly. Revitalizes, tones and revives radiance. Use in the evening after thorough cleansing and toning. While skin is still damp with Toning Lotion, apply 3-5 drops to face and neck, avoiding eye area. Remove excess by patting with a tissue. Rated 1 out of 5 by Annabelle from Smells rancid Either this product always smells rancid, or I was sent an old, rancid sample. I threw it out. Rated 5 out of 5 by Customer 27 from Amazing Results! I cannot say enough good things about this oil. It’s simply amazing. I use it at night under my night cream and my skin in the morning does feel hydrated and actually looks glowing. It absolutely works wonders! 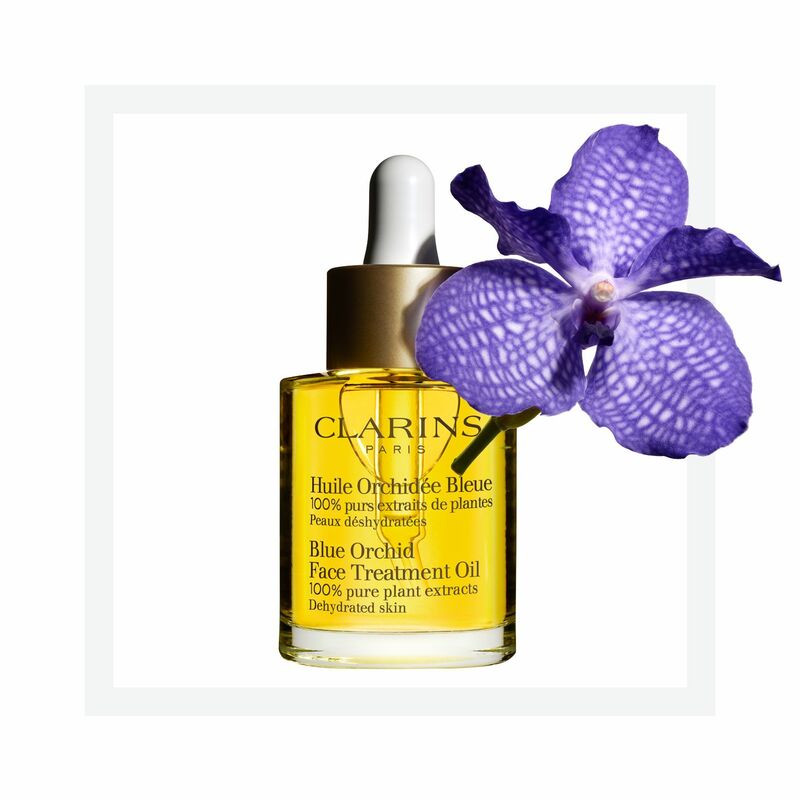 Rated 5 out of 5 by CM1723 from Blue Orchid Face Oil ~ Love it! I'm enjoying this beautiful oil so far. Smells amazing and leaves my skin really soft. Rated 3 out of 5 by ColCol from Great Product but irritated my skin. Unlike Clarins’ Lotus Oil, (which my skin loves), my face burned when I used Blue Orchard. Apparently the patchouli, hazelnut oil or the blue orchard extract did not agree with me. That said, Clarins products are top notch so one has to figure out what works. If you are sensitive to perfumes generally, I would recommend that you test this oil before purchasing. Rated 5 out of 5 by pudgysmom from Wow! Much better than other facial oils!!! I bought this a week ago and I'm absolutely in love! I'm 54 and take pretty good care of my skin. Always remove makeup before bed, moisturize, use Vit C, low levels of retinal, occassional facials etc . . . With the recent cold weather snap the humidity levels at work and at home have been consistently in the low 20's and I was honestly getting somewhat depressed with the appearance of my skin. I felt like I had aged 10 years in the past few months. What the heck????? I started throwing every product I had in my arsenal to add back some moisture including another brand of facial oil with no effect. I was looking at some laser options to try to add back some life to my face. While researching, I came across the Clarins facial treatment oils and decided to give this one a try. Wow!!!! what a difference! within a week, my fine lines are improved and my skin looks fresher and plumper. I've seen many comments on the smell of this oil but I actually like it. It is somewhat strong at first, but is nice and 'herbally' and very fresh. The scent fades quickly though it does not totally disappear - which I like. My husband comments that he likes the smeIl of it, and I find it lingers on my bed linens which is an added bonus!!! If you are aging and find that your skin is dry, and lack-luster - I recommend giving this one a try. I will definitely try other Clarins products in the future! Rated 4 out of 5 by Fiona from Great product Great product for the dry skin. I put it on after toner day and night.The smell is not nice, but acceptable. Rated 5 out of 5 by MuppetCapers from An investment in myself So many product lines boast of this and that and we were the first to have that we made this one so on and so on. What's great about this product is it can be used completely alone. Sure you can layer different night treatments on your face, but this one can stand on its own and accomplish so much. It's the best deal they have! And it smells wonderful!